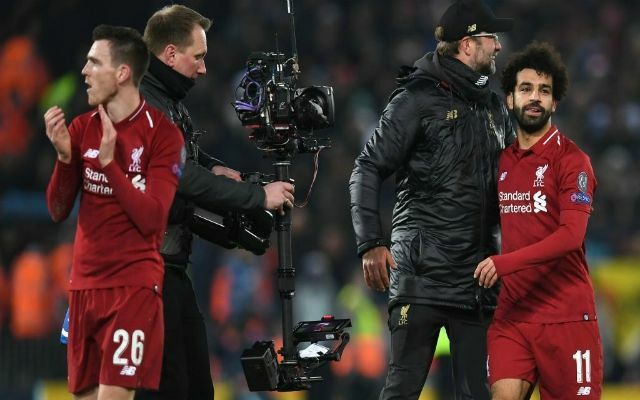 Using tracking data from the Premier League Sky Sports have revealed that Liverpool have made the most sprints this season – 3794 as a total team figure. In terms of individual sprint stats, Mohamed Salah sits in second place with 547 sprints made this season, while Andy Robertson follows just behind on 531. Leicester’s Ben Chilwell tops the table on 609. The numbers we’re posting are to be expected – while some of the cavalier, attacking play of last season has been tempered by a more considered and mature approach we are still a team that like to play on the front foot and close down opponents quickly. What is perhaps most interesting about these team sprint stats is that Bournemouth, Huddersfield, and Everton occupy second, third, and fourth places respectively; Manchester City, Arsenal, Leicester, and Tottenham follow behind them in descending order. The other key stat that has come out of the data is the distance covered metric. Bournemouth lead the way on that having covered 3539.5 km this season. We feature in fifth having covered a fair amount of ground too at 3491.7 km. Of course, the other stat we’re still leading on is clean sheets – we’ve kept 17 of them in 31 league games. With 70 goals scored we’re just behind City who have 79 to their name so far. But, with Sadio Mané’s recent form we have both him and Salah sitting pretty on 17 goals each – one behind top scorer Sergio Agüero – hopefully one of them grabs the Golden Boot award for this season. Lots of numbers Reds, but they all look they might add up to something truly great for us! Let’s keep going – only 7 games left!